Ah, summer camp. 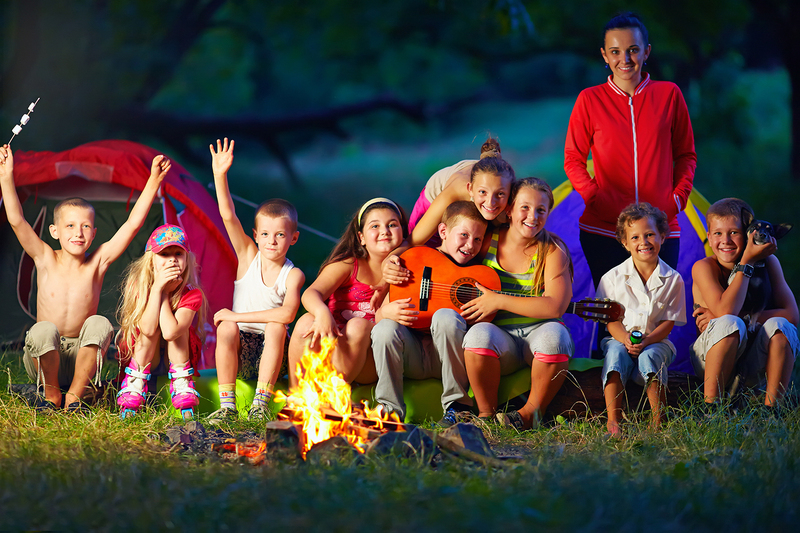 You probably picture your child going on hikes, swimming, sailing, singing around the campfire, and enjoying s’mores. You probably aren’t thinking about head lice. Here are helpful tips on how to prevent lice at summer camp. In a 2016 study, researchers from the University of Michigan Mott Children’s Hospital tracked lice infestations in more than 500 summer camps over a three-year period and followed up with a questionnaire to camp leaders. Some 69 percent of camp leaders surveyed said lice were a significant challenge faced by camp staff and parents. Summer camps are often in remote locations and have limited access to medical resources. About 30 percent were said to have “no nit” policies, meaning that if a camper has head lice, he or she will be sent home. Why are lice common at camps? Well, for the same reason head lice are common wherever young people gather. It’s an opportunity for head-to-head contact and lots of sharing of clothes, brushes, combs, and the like—the primary ways head lice spread. How to Prevent Lice at Summer Camp? New preventative products can help you reduce the odds that your child will contract head lice at camp. Lice Clinics of America, the company that has introduced the breakthrough AirAllé medical device, offers preventative sprays, conditioners, and shampoos formulated to deter head lice. The preventative hair products contain scents that smell perfectly fine to humans but irritate a louse’s olfactory senses (and thus repel the lice). Many camps contract with Lice Clinics of America to screen and treat campers with the FDA-cleared AirAllé device (which uses warm air to dehydrate and kill live lice and eggs). If you are sending your child to a camp that doesn’t contract with Lice Clinics of America, we recommend you send your camper with some of these preventative products. Other steps you can take to prevent your child from getting lice at camp are to keep the hair short (for boys) and/or tied back for girls. And while “sharing is caring” is a good message for youngsters, when it comes to summer camp you should caution your kids about sharing hats, helmets, clothes, hair products—even headphones and ear buds. It is also important to check your child’s head carefully before sending him or her off to camp. After all, you don’t want to be the one bringing the lice. Some camps require lice checks before camp, with some performing the checks on site as campers arrive. Finally, check with your camp and make sure you understand its lice policy and if it offers resources for addressing head lice. Lice Happens.. Don’t be Too Hard on Yourself.. Remember, if your child does get head lice at camp (or anywhere else), it isn’t because you or your child did anything wrong. Some 6-12 million people get head lice every year in the United States alone. There is no relationship between hygiene and head lice—in fact lice prefer clean scalps and hair. For more information about head lice, the AirAllé medical device, Lice Clinics of America professional lice treatment clinics, and lice prevention products, visit www.liceclinicsofamerica.com.